CNC Aluminum Advanced Trigger (Style A) (Dark Eart.. 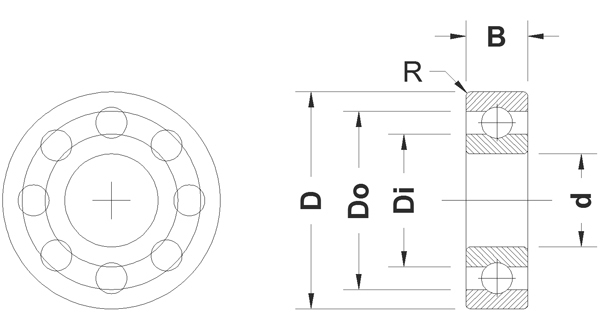 Radial Ball Bearings are to reduce rotational friction and support radial loads. Ideal for precision work with close tolerances suitable for building models and applications. The radial ball bearings consist of an inner and outer ring with a cage containing a complement of precision balls and use balls to maintain the separation between the bearing races. Made of heat-treated Chrome steel. When you order from Maxxmodel.com, you will receive a confirmation email. Once your order is shipped, you will be emailed the tracking information for your order's shipment. You can choose your preferred shipping method on the Order Information page during the checkout process.